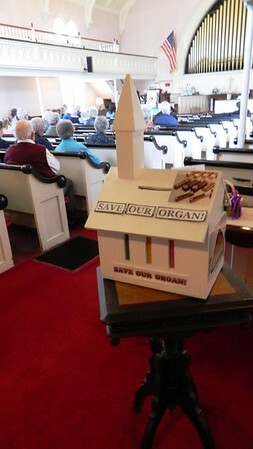 PLAINVILLE – Members of the town’s congregational church are asking for help saving their organ. 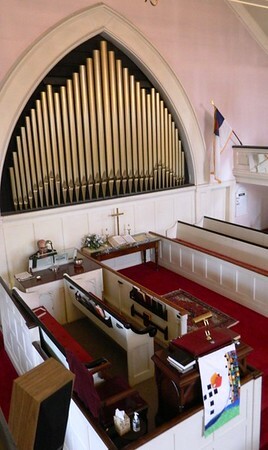 The giant instrument that calls the Congregational Church of Plainville home is more than a century old and in need of some serious repairs. None of that was audible during Sunday’s “Afternoon of Beautiful Music” however, as the organ’s pipes entertained a small crowd. Oggenfuss was joined by former church organist Matthew Bartlett, who opened the concert with a hymn on the organ. Other performers included pianists Richard Carsey, Oggenfuss’ husband, along with Maryjane Peluso and her husband Peter Peluso, another organist. The group performed classical selections from Debussy, Chopin and Brahms along with a few lesser known pieces on the piano and accordion. The organ came to the church 60 years ago after having already lived a long life, according to Oggenfuss. Music chairperson Ellen Binder welcomed church members and newcomers with open arms. She estimated repairs to cost between $30,000 and $40,000. Choir member Ruth Boiczyk sat among the audience Sunday. 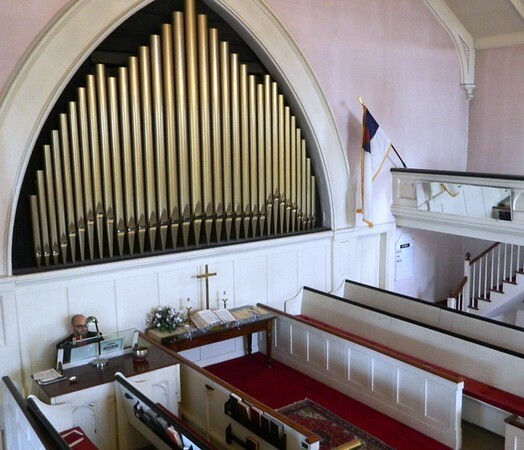 Anyone who wishes to donate may make checks payable to the Congregational Church of Plainville, for the Organ Restoration Fund. They can be mailed to the church, at 130 W. Main St., Plainville, CT, 06062. Posted in New Britain Herald, New Britain, Plainville on Sunday, 29 April 2018 22:03. Updated: Sunday, 29 April 2018 22:06.